Tried to go out for a nice, relaxing drive. BOOM! 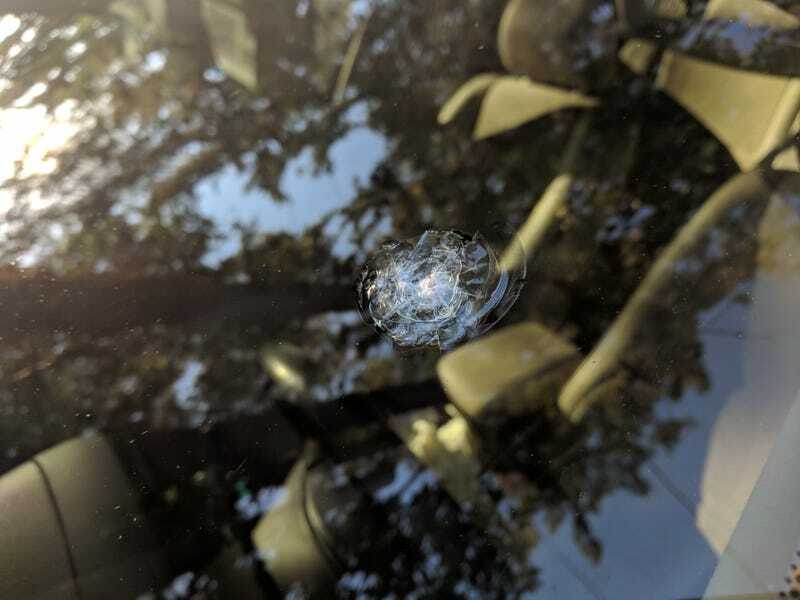 Someone kicked up a rock the size of a meteorite. It’s actually broken all the way through.